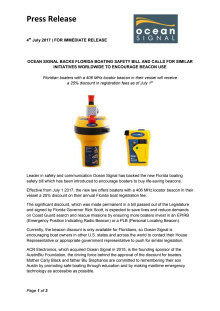 EPIRBs, for the vessel, and PLBs, which are registered to a person, are a fast and effective way to send an alert. They greatly assist the Coast Guard and search and rescue authorities across the world to identify and locate a casualty. 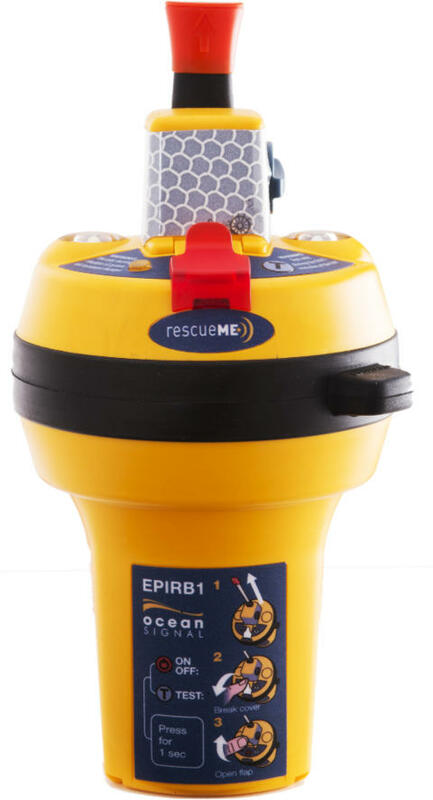 Now 406 MHz emergency beacons, such as EPIRBs, are priced as low as €350 ($399) and PLBs can be priced as low as €240 ($269). Both types of beacons offer users the security of a direct link to search and rescue personnel by providing their exact coordinates for the most efficient rescue possible. 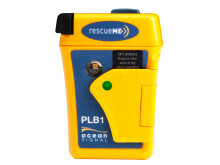 Ocean Signal’s product portfolio consists of the rescueME range of products, including the rescueME PLB1, the rescueME MOB1, the rescueME EPIRB1 and the rescueME EDF1 electronic distress flare, plus the AIS Alarm Box, and the SafeSea range of GMDSS products, including the E100 and E100G EPIRB, S100 SART and V100 handheld VHF radio, as well as the M100 and M100X professional MSLD and E101V float-free EPIRB with integrated voyage data record memory capsule. They provide both recreational and commercial mariners with simple to use, compact and affordable life-saving solutions. All products are engineered by a highly experienced team of marine electronics professionals. Ocean Signal products are trusted by high-profile sailors, rowers, surfers and powerboat racing teams. Providing some of the world’s best competitors and adventurers with vital safety and communication devices, the company’s rescueME MOB1 has been selected to enhance safety standards for crew taking part in the Clipper 2017-18 Round the World Yacht Race. 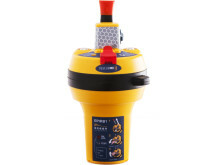 Ocean Signal has also sponsored the crew of Simply Fun with rescueME MOB1s, rescueME PLBs and a rescueME EPIRB1 in the 2016 Rolex Sydney Hobart Yacht Race, the 16-man crew of Triton with rescueME MOB1s in the 2015 Rolex Sydney Hobart Yacht Race,record-breaking sailor Andrea Mura in the single-handed OSTAR race, Mini Transat 2015 solo sailor Lizzy Foreman, Atlantic rowing duo Ocean Valour, Venture Cup offshore powerboat race team Cinzano, kite racer Gina Hewson and canoeist Adam Weymouth.